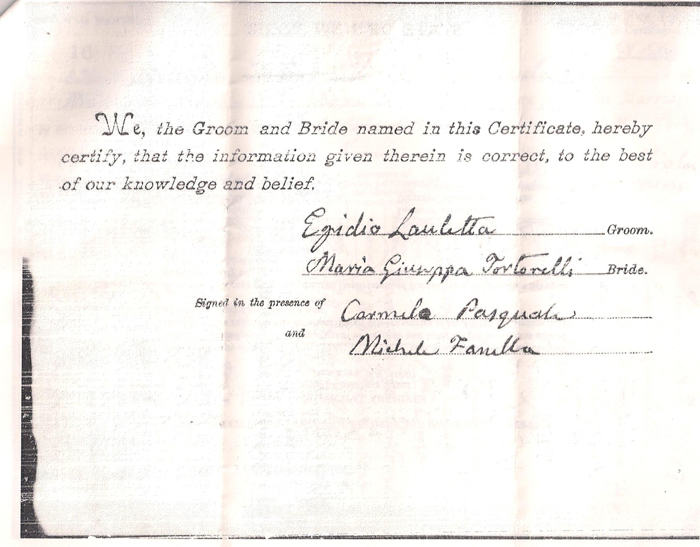 This is a copy of the marriage certificate of Maria Giuseppa Tortorelli to Egidio Lauletti(a) in 1897, from the NYC Archives. 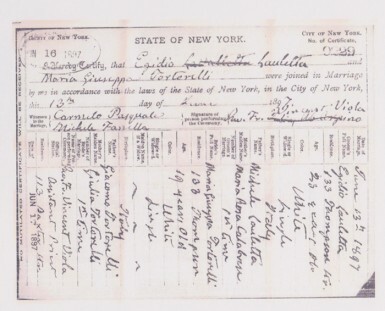 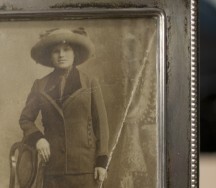 Below are links to the 1905 NY state census-which include Maria Giuseppa and her family, Isabella Tortorelli(a) and family and their older sister Victoria Santangelo. If you have a document, image, audio or video that relates to the Triangle Fire please submit it here. 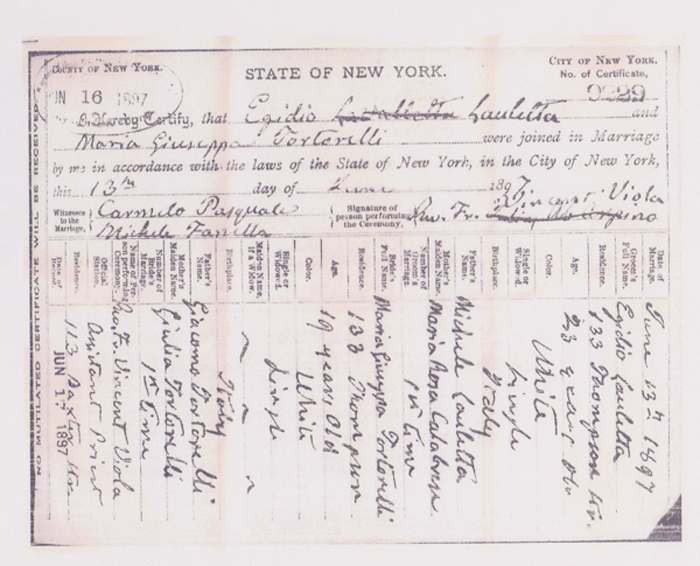 Photocopy of Maria Giuseppa Lauletti’s marriage certificate from the NYC archives.